A number of epidemiologic and surveillance-based studies of sports injury provide statistics on, and sometimes discussion of, overuse injuries. However, there is no consensus on the definition of “overuse.” Some studies consider “overuse” as a mechanism of injury while others use a diagnosis-based definition. PubMed and SPORTDiscus databases were searched between May and November 2012 to find articles published or online ahead of printing pertaining to US high school or collegiate athletics, which were epidemiologic in nature. Inclusion criteria required that the article present data collected on athlete exposure and provided statistics pertaining to overuse injuries. PRISMA guidelines were adhered to, to the best ability of the authors. The initial search resulted in 5,182 articles with potential for inclusion. After review of titles or abstracts where appropriate, 232 studies were read in entirety to determine if they were appropriate for inclusion. Of the 35 articles included, 13 used data from the National Collegiate Athletics Association’s Injury Surveillance System, 12 used data from the High School Reporting Information Online (RIO) injury surveillance system, and one used data from both of these systems. The remaining nine articles used data from distinct surveillance systems or prospectively collected data. All of these articles included data on overuse injuries, although not all provided definitions for overuse. A major finding from the literature is that the term “overuse” has been used both as a mechanism of injury and as an injury diagnosis (or a category of diagnoses). Specifically, of 35 articles, 14 used “overuse” as a mechanism of injury, seven used it as a category of injury diagnoses, eight used it as both a category of injury diagnoses and a mechanism of injury, and it was unclear in one how the term is used. Only one of the 35 articles provided a biomechanical definition for overuse injuries. Twelve of 35 articles combined “overuse” with other terms such as “chronic,” “gradual onset,” and “repetitive stress.” Use of the term “no contact” was investigated in relation to “overuse.” Four of 35 articles define overuse in the context of no contact injuries. Only one of 35 articles define “no contact” as a specific acute mechanism of injury, while all other mentions of “no contact” do not specifically distinguish whether “no contact” was limited to acute injuries only, or has potential to include “overuse” injuries. There is a great deal of inconsistency in the use of the term “overuse” both within and between data sources. 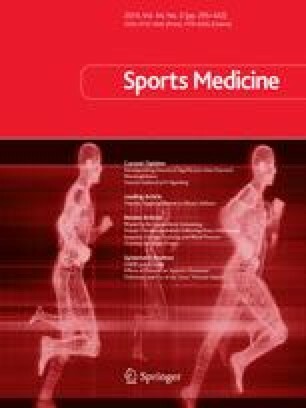 This is further complicated by the multiple uses of the term “no contact.” We recommend that the term “overuse” only be used in regard to the mechanism of injury in order to enhance interpretation and understanding of the literature regarding overuse injuries and enhance the ability to compare results between studies. We also recommend the adoption of a common working definition of overuse injuries within injury surveillance. This definition should emphasize that overuse injuries are characterized by (1) a mechanism of gradual onset, and (2) an underlying pathogenesis of repetitive microtrauma. Dr. Marshall is partially supported by a grant R49-CE001495 from the National Center for Injury Prevention and Control for the University of North Carolina Injury Prevention Research Center. Dr. Marshall is associated with the Datalys Center for Sport Injury Research and Prevention, which conducts injury surveillance. We are grateful for the insightful and constructive comments from the anonymous reviewers. PRISMA. Transparent reporting of systematic reviews and meta-analyses. http://www.prisma-statement.org/index.htm. Accessed 1 Jun 2012.